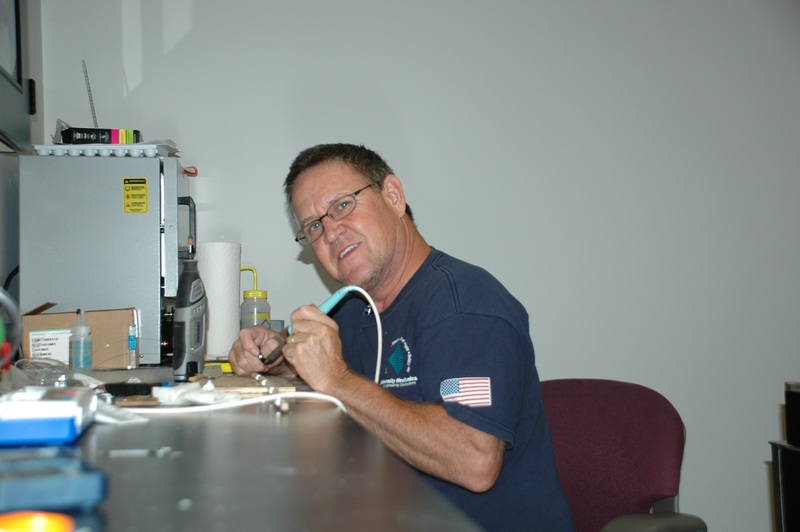 The Center for Integrated Access Networks an NSF-funded Engineering-Research Center (ERC) welcomes veteran teachers of the United States Military into our labs during the summer to participate in research that is creating ultra-broadband communication for the next generation internet. Participants will be given consultation and financial support to obtain real hands-on research experience in optical communications, adding to their experience to be shared with their students encouraging them to pursue interests and careers in STEM topics. CIAN aspires to create a technological revolution in internet access speeds. 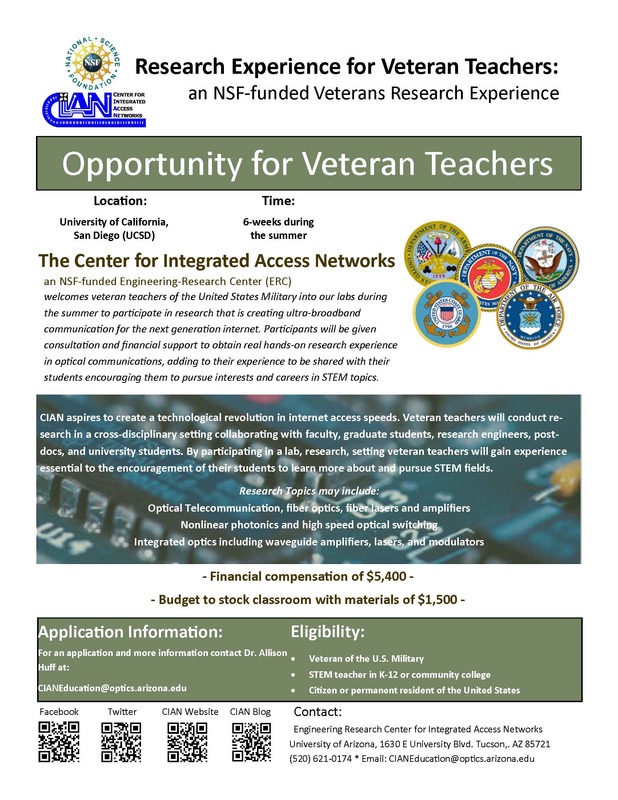 Veteran teachers will conduct re-search in a cross-disciplinary setting collaborating with faculty, graduate students, research engineers, post-docs, and university students. By participating in a lab, research, setting veteran teachers will gain experience essential to the encouragement of their students to learn more about and pursue STEM fields. A stipend of $5,400 is provided. Additionally, a classroom supply budget of $1,500 is awarded at the successful completion of the program.